Bachelor party, also known as stag party or stag night is very different from regular parties. Usually the crowds are much smaller and things like drinking alcohol, going to strip clubs, gambling etc. are part of it in the West. In the Indian context, some of the western ideas have been dropped. It can be both alcoholic or without it in addition to having food outside or going on a picnic. Mostly arranged by men, it is considered the last night of "freedom" since after marriage, life will be full of commitments. Arrangements are usually made by the male sibling of the bachelor or the best man. Of course there are bachelor parties given by women as well. It is called bachelorette party, hen party, hen do, hen night, stagette, girl’s night out, kitchen tea etc. If you plan to give a bachelor party or if you are assigned the duty of arranging one for your sibling or friend, then there are a few wild bachelor party ideas that you need to make the program rocking. As with any party, invitation is of utmost importance. 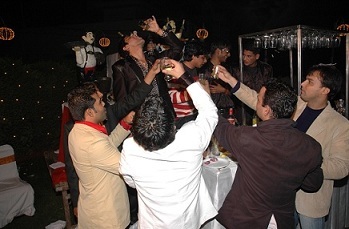 Yoovite.com gives you the best option online to invite your best buddies for the Bachelor Party. You can mention what all items are included in the party so that they can have the right expectations and avoid surprises. 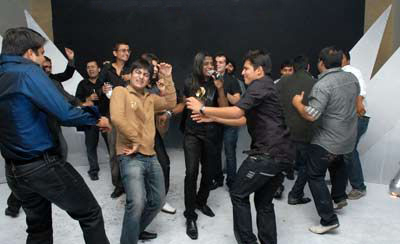 For an average Indian guy, getting married is a big event and bachelor’s party is the last night of fun. If the venue is decorated, it would be nice. But since most bachelor party takes place in locations such as jungle resorts, expensive hotels etc., the decoration part is not that important. Picking party favors for your best pals is important for your bachelor party. You can give out gifts to your friends who made the party a success by attending. Also to your sibling or friend who helped arrange it. Food is the key ingredient in a bachelor party. It is supposed to be a memorable event for both the groom and his friends. Arrange food according to the tastes of the guests. You may choose to serve drinks before food or with food. Arrange both vegetarian and non vegetarian foods. You can think of various game plans and bachelor party pranks. For instance, cards, caroms etc. You can also arrange for video game tournaments since guys just love them. Snooker and bachelor drinking games can also be arranged. Indian bachelor party ideas can be something similar to hiring a big van that can hold all party goers and travel around the city hitting all night clubs. The average expenditure per head would be INR 1,500 for entry and INR 2000 for overnight drinking. If there are no night clubs in your city, try an overnight trip. Go to Goa or Pondicherry on a weekend. There are casinos, nigh clubs, sailboats etc. If you are further rich, then take your friends to Dubai. It’s just 3 hours in flight and is an exotic destination for bachelor party. If you are planning a bachelor party in major cities or Metros in India like Bangalore, Chennai, Hyderabad, Mumbai or Delhi, use Bachelor party online invitation tool to invite guests and manage RSVPs and save your valuable time.